And the 650s seems to have gotten inspiration from the P1 in front and not so much in the rear. 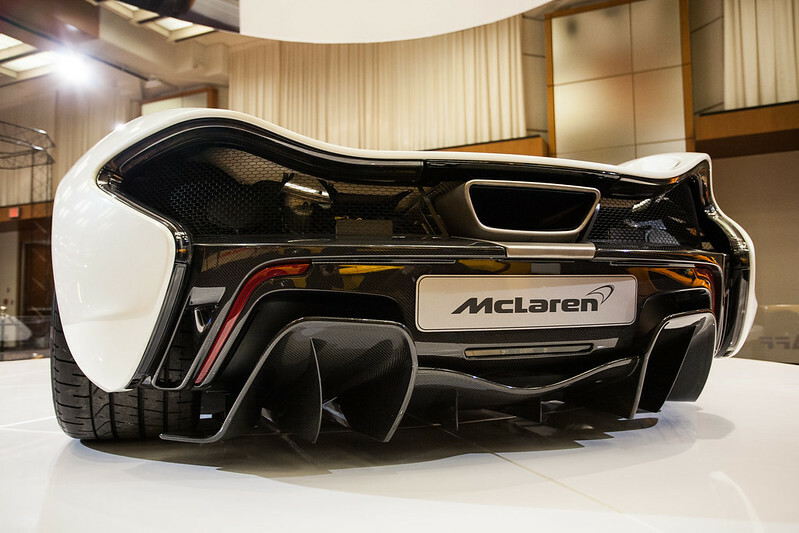 I think that the rear of the P1 is something amazing, but maybe McLaren chose to use a modified version of 12C's back (infact, the 650S' rear has a different rear bumper compared with 12C) because the different broadness maybe can makes the final effect not so good... The P1 has this "transparent" back to cool the engine. Front end on the 650 resembles the p1 more than the rear and thats a good thing. The front end design is hard to change, meanwhile it's easy to rework the rear from model to model. maybe if they painted most of the rear in the same color as the rest of the body you might have something different to say? I also think that it looks better in the dark when the taillights are illuminated. I can't seem to find a picture of it online though. Can anyone help me out? No luck either, it will show up on this forum eventually. All the Mclarens these days look better to me in black, 12C, 650, and of course the stunning P1! I just can't do the 2 tone look. Black is very seamless which is what I like.